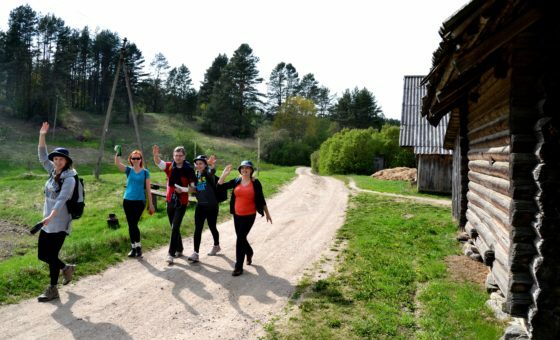 Join us in an exciting walking and trekking tour around the three Baltic States. This 12-day journey offers an ultimate mix of natural and cultural highlights of the region. You will explore the diverse landscapes by walking among the highest chain of sand dunes in Europe, protected swamp areas, sunny pine forests, purest rivers, crystal clean lakes and picturesque lagoons. All of these sceneries are embraced in the 5 best nature parks: Lahemaa and Haanja parks in Estonia, Gauja park in Latvia, as well as Curonian Spit and Aukstaitija parks in Lithuania. You will discover the real soul of the Baltic States by visiting 3 UNESCO cultural sights and authentic treasures: starting with the 3 Baltic capitals Vilnius, Riga and Tallinn, as well as picturesque ruins of Crusades castles in Latvia and visiting the lesser known authentic places outside the main tourist routes. 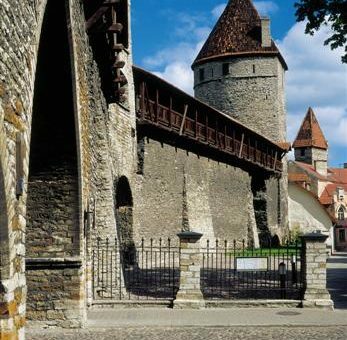 Upon arrival to Tallinn airport you will be transferred to your hotel and then have free time to enjoy Tallinn Old Town on your own. Unlike most European cities, which have ancient buildings mixed in between modern ones, Tallinn’s Old City is has remained entirely in the past. You leave the bustling modern life behind when you wander the cobblestones and dim alleys amongst sputtering torches and secret stairways. Meet us at the hotel and join for a welcome dinner together tonight. 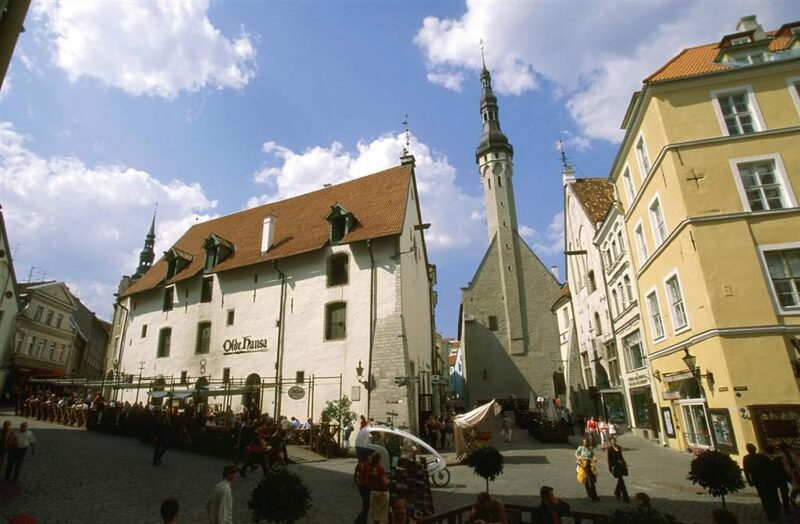 In the morning you will join a city tour to explore Tallinn Old Town on foot and by bus. During a pleasant walk you will discover one of the UNESCO World Heritage sights with its main historical and architectural monuments. 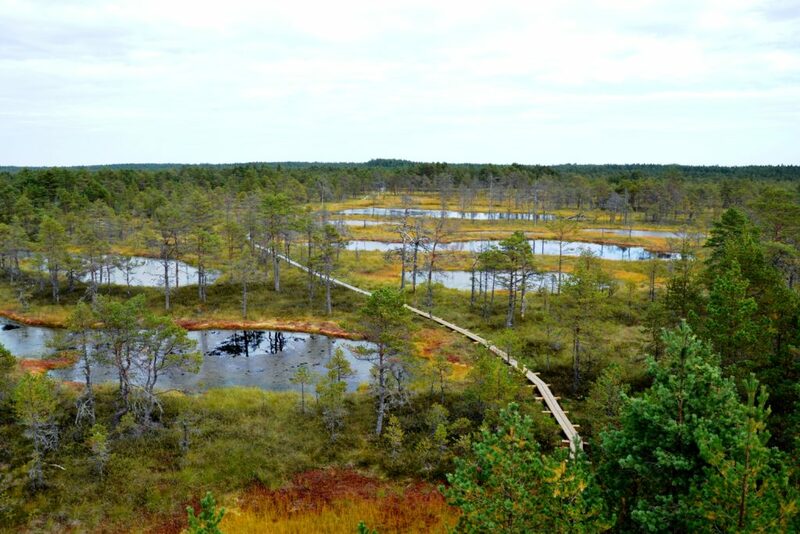 After the tour you will leave Tallinn and have a bus transfer to another stunning sight of Estonia – Lahemaa National Park (60 km from Tallinn). Your afternoon will be spent walking in the Estonia’s best and largest national park along untouched sandy beaches, among cascading waterfalls and through mossy pine forests. Turn this experience into your own walking safari by observing some of 200 species of birds and animals inhabited here. 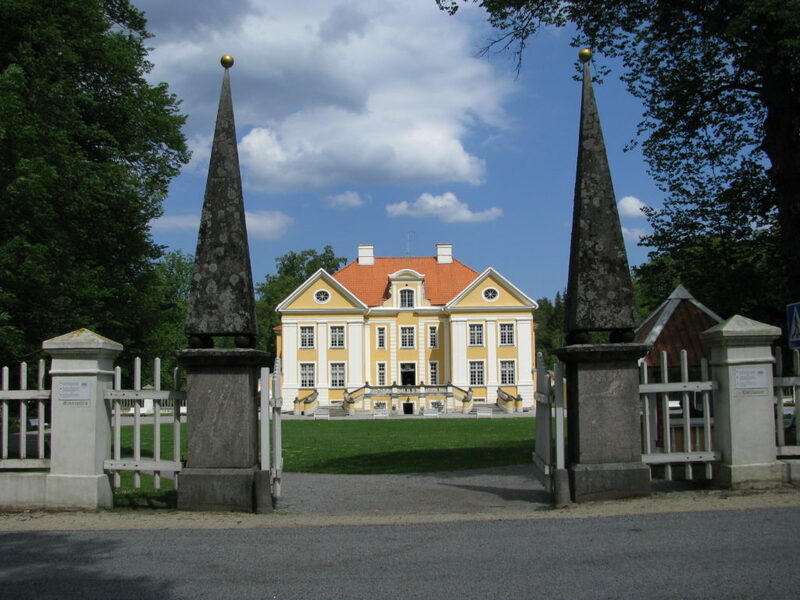 Stop to visit an elegant Palmse manor and the beautifully preserved 400-year-old fishing hamlet of Altja. Walking distance: 5 km in Tallinn and 6 km in Lahemaa. In the morning you will enjoy a Tartu city walking tour to explore this charming old university city, learn about the glory of once well-known Hansa town and visit its ancient sights; the most famous of these sights being the medieval complex of Tartu University. After a lunch you will depart Tartu and head to the picturesque Haanja Nature Park (90 km from Tartu). Enjoy a walk in the highest region in the Baltic States and admire views of domed hills, deep valleys and small lakes and pass by authentic villages where ancient Estonian cultural traditions have been preserved to these days. 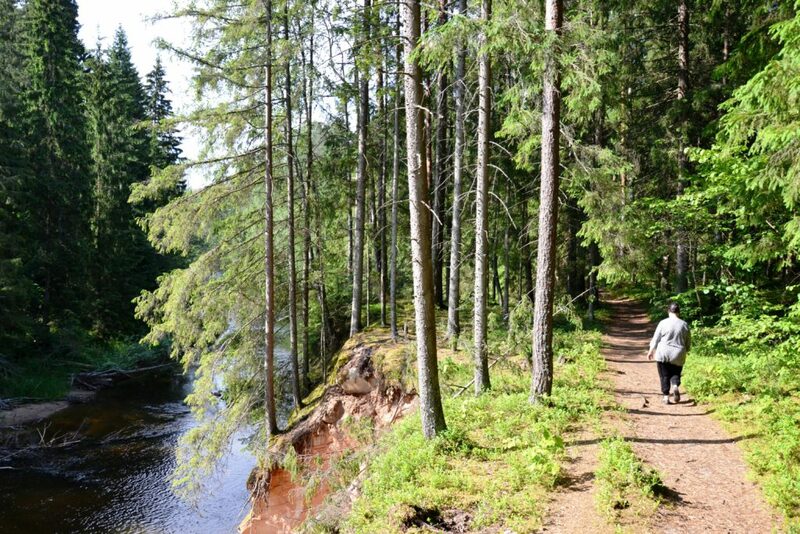 After this beautiful walk you will depart to Cesis town in Latvia (140 km from Haanja). Walking distance: 3 km in Tartu and 10 km in Haanja. Day 5 will have you exploring the scenic surrounding of Cesis in the best national park of Latvia – Gauja Park. 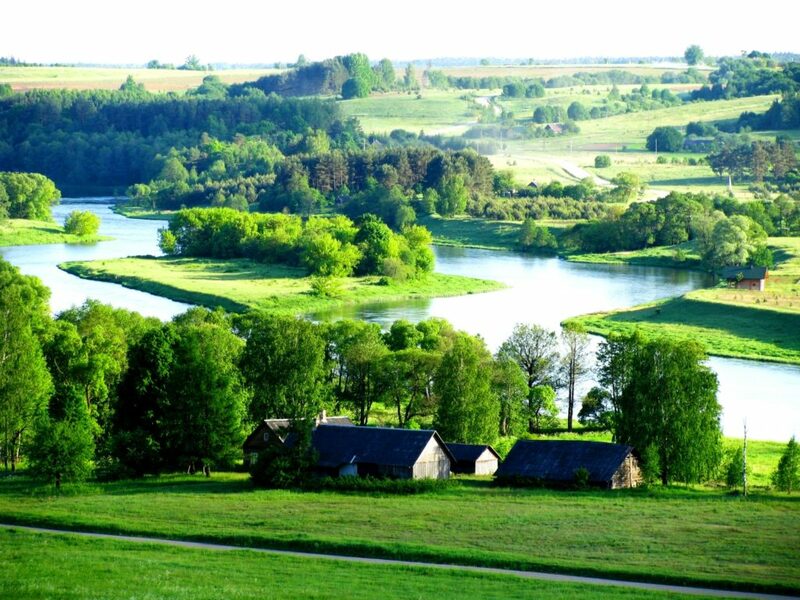 After a short walk you will understand why this area is called “Latvian Switzerland”; its landscape is made of hills and cliffs that were formed by the flowing Gauja River and comprises more than 500 monuments of archeology. Enjoy a walk in a beautiful forest, climb the hills of Gauja valley and finish the walk in one of the most popular tourist attractions in Latvia by taking a aerial cable car with panoramic views above the river to reach the medieval Turaida Castle which contains ruins of the Livonian order’s residence with the observation tower and history museum. After a morning of impressions you will taste a traditional Latvian meal in an authentic local restaurant followed by a depature to Riga, the capital of Latvia (50 km from Gauja National Park). This day will start with a Riga city tour on foot and by bus to see the most interesting sights of this UNESCO heritage city. You will enjoy a relaxing stroll in narrow streets of the old town, along green parks and canals and discover a district of Art Nouveau buildings. 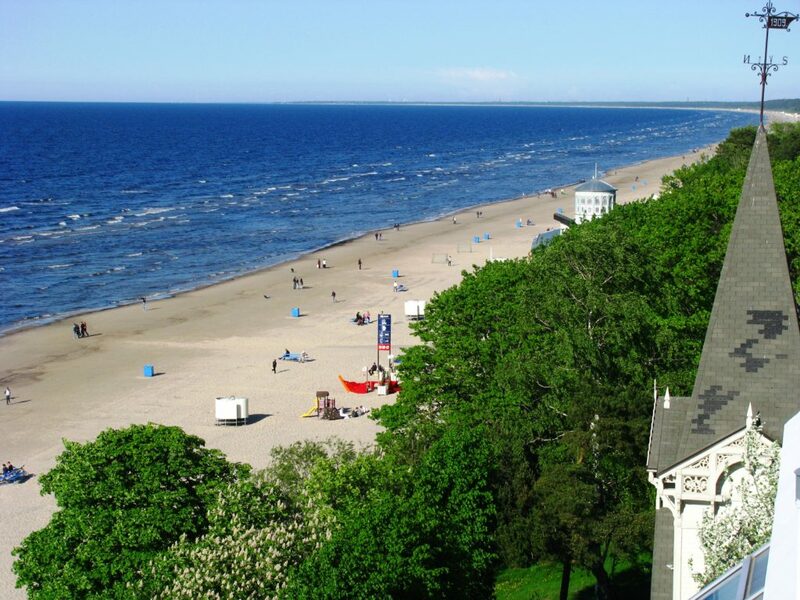 In the afternoon you will leave the busy Latvian capital for a serene get away destination and seaside resort of Jurmala (25 km from Riga). It a perfect place for a walk along sand dunes and a white sand beach along the Baltic Sea or feel the fresh sea breeze mixed with a sweet smell of pine forest. After a stroll along the beach continue to walk in the town and explore its distinctive wooden architecture of fancy art nouveau and national romanticism wooden houses built in late 19th and early 20th centuries. The Rundale Palace, a magnificent masterpiece of baroque architecture in the Baltic States, where you will witness its impressive and highly decorative interior and have an enjoyable walk in a beautiful French-style park. 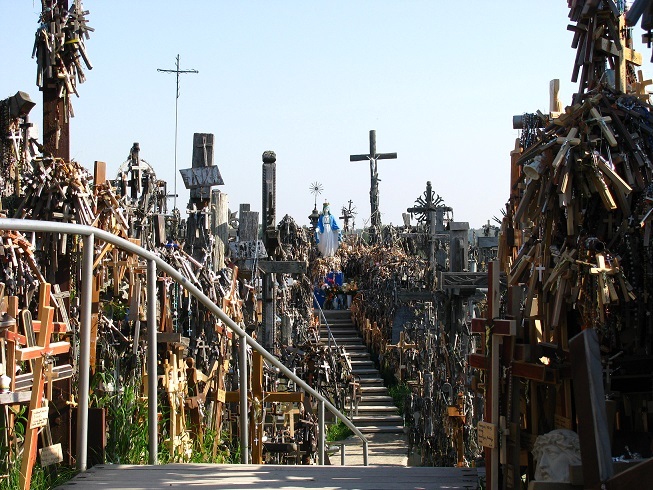 The second must see is The Hill of Crosses a mystical and unique pilgrimage site with more than 100,000 crosses from all around the world. Today you will have a lunch in an authentic tavern offering Lithuanian specialties – pink summer soups, variety of potato and pork dishes that will assuredly be a new culinary experience. The rest of the day will give you a chance to rest, observe a changing landscape from the bus window and bring you to Nida village in the unique Curonian Spit. This day is devoted solely to discovery of the UNESCO Heritage sight and the most carefully conserved area in Lithuania – the Curonian Spit. 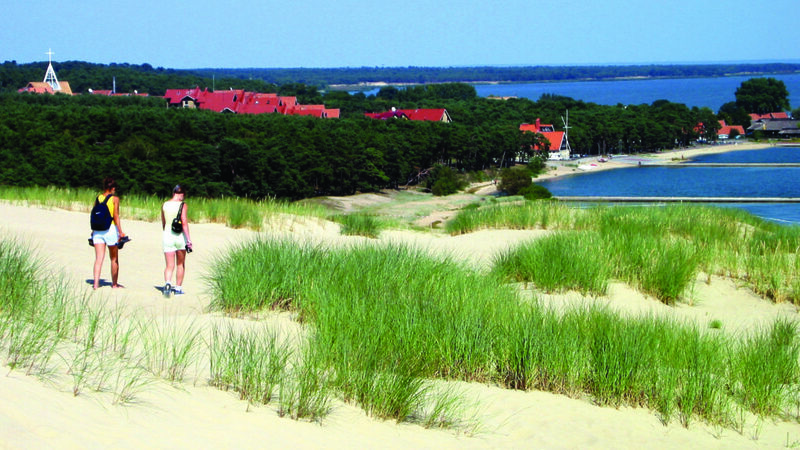 Here you will climb the North Europe’s highest dunes, where you can see a panoramic view of both the Baltic Sea and the Curonian Lagoon. While walking along the trail you will be amazed at how the landscape changes from sunny pine forests and lagoons to dunes and picturesque fisherman villages that nowadays are transformed to cozy sea resorts. It is the perfect place to immerse yourself in tranquil surroundings and admire the distinctive nature of this place, listen to the sounds of waves and birds and look for your inner peace. In the morning you will leave the Curonian Spit and head to another of nature’s gems in the Baltics – Aukstaitija National Park (420 km from Nida village). Today your journey will take you through the major parts of Lithuania, while making stops to visit two popular sights. Klaipeda city, the only seaport of Lithuania, where you will have a short walking tour in the cozy old town and Trakai, the former capital of Grand Duchy of Lithuania with it’s beautiful insular castle of the 14th century, situated on an island in the middle of a lake. Trakai’s unique location on the peninsula surrounded by five lakes has it dubbed itself the “town on the water”. Most of the day will be devoted to an exciting trekking tour in Aukstaitija National Park, often called the kingdom of forests and lakes. The park captivates with its more than 100 splendid crystal-clear lakes, linked by picturesque waterways, ethnographic villages, abundance of forests and the harmony of nature. The trekking route will take you through the Beekeeping Museum, scattered villages that have preserved their original character and ancient burial mounds. After a lunch in one of the local taverns you will leave the national park for the next fascinating destination – Vilnius, the capital of Lithuania (110 km from Aukstaitija National Park). It’s an easy day that will start with a morning walking tour to explore the last UNESCO Heritage sight of the Baltics – Vilnius Old town. 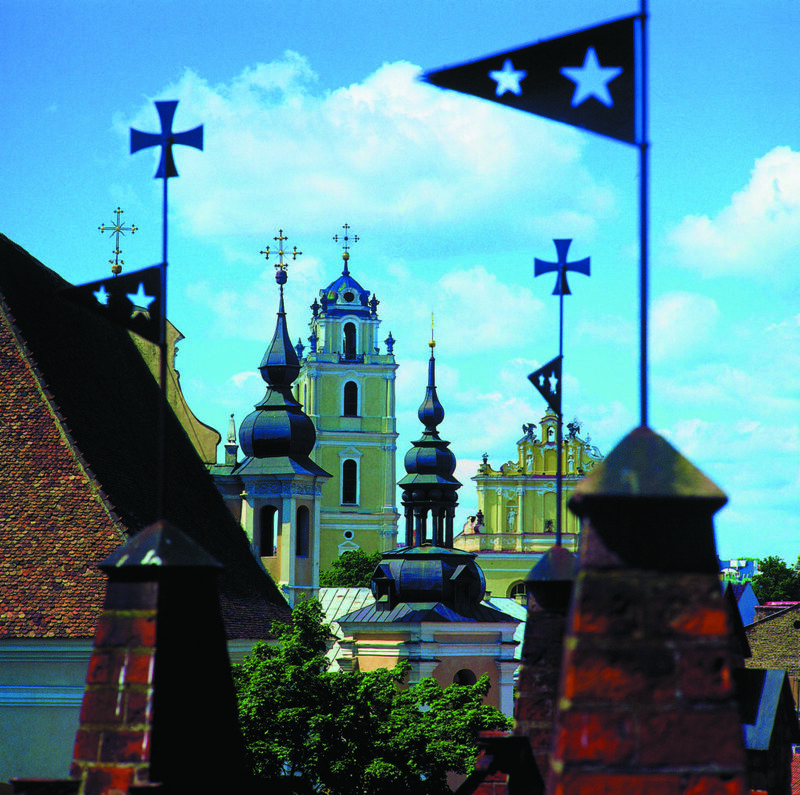 During the tour you will discover the largest Old Town in Eastern Europe and admire its colorful buildings with distinguished architectural style of the original “Lithuanian” Baroque, also called the last vivid flash of Baroque in Europe. A farewell dinner at a Lithuanian national restaurant will be an excellent chance to spend the last evening with the new friends, share your impressions and memorable experiences while tasting local beer and gourmet dishes.